For the longest time, going to conventions was a far-off dream. 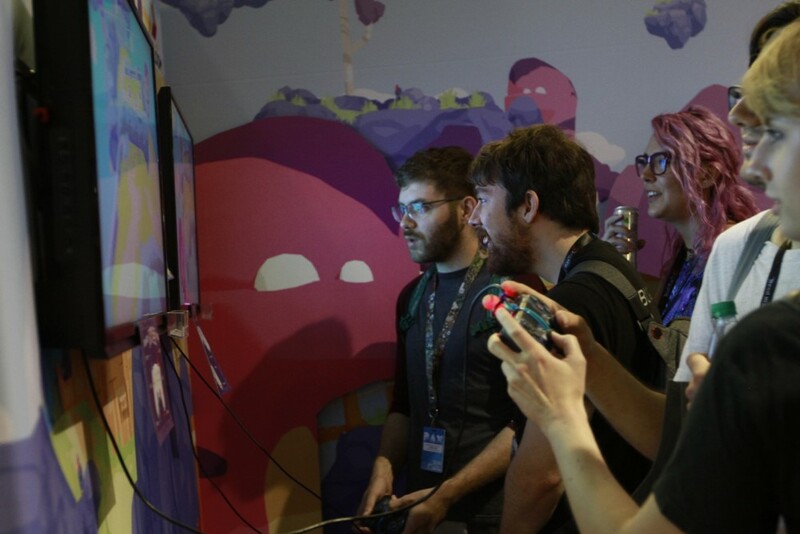 I’d look enviously at photos of PAX and E3, wishing I could be in the heart of the industry. Well I helped run two booths this year, so who’s laughing now Dad? Life unfolds in frustratingly funny ways. Against my better judgment, I couldn’t stay away from pursuing video games. Now here I am, writing for a gaming website as I freelance indie work on the side. Not exactly what I thought I’d be doing with a double major in Theatre and Psychology, but I’ll take it. There’s never been a better time to get into game development, especially if you don’t know the first thing about making games. Coming from different disciplines has helped me gain a greater appreciation for what goes into the process. I’ve seen a good number of parallels between theatre work and game development. The two are, ultimately, creative fields where products come to life through the work of talented artists and production teams. Writers, programmers, graphic designers, architects, and many more flock to the video game industry. Somehow, I also managed to get caught up in it. My recent work gave me the utterly invaluable opportunity to exhibit at PAX West. Prior to this, I’d only ever gone to a handful of conventions. I was far from an expert but I’d have to pretend to be one, at least. Running a booth is an interesting experience. Most of my time spent at prior PAXes involved a slow, yet steady pace through the expo halls. Pit stops for a quick demo, a chat with some devs, and the occasional glance at the amazing cosplay (like holy crap how did they do that). That was what I knew PAX as. Staying planted for eight straight hours offered a significantly different viewpoint. At 8 AM, a soft presence pulses through Seattle. Groggy minds ready themselves as the more ambitious personalities look forward to their days’ plans. The trip to the Washington State Convention Center is slow, leisurely, yet fraught with anticipation. A crowd amasses outside the attendee entrance. I smile smugly as I peer at this crowd from the other side of massive bay windows. “Plebeians,” my inner-patrician mutters snidely. Volunteers, employees, and everyone in-between shuffle around the expo halls. Dollies rush past as boxes and wrapping get strewn aside. The convention is all put together. All that’s left is the polish needed to bring PAX West to its brilliant shine. I find my way to our game’s booth after meandering around the show floor and drinking everything in. Though there are plenty of newcomers, everything runs with an incredibly efficient smoothness. The Enforcers, bless them, do several rounds with all of the indie devs. Their offers of assurance and cough drops come readily, as does the gratitude for them. I’ve Been Standing for How Long? PAX is, if nothing else, exhausting. Exhausting to be on your feet for eight straight hours. Exhausting to manage endless streams of attendees and strike up meaningful conversation. But somehow, we manage. As time passes we even get pretty good at it. A tempo develops, an unspoken rhythm of meeting, greeting, and getting people to check out our booth. Games are a business. Yes, of course they’re entertaining. But no matter if they’re AAA or indie, at the end of the day these games are products that developers try to sell. I mean, the name of the convention says it all, right? The biggest indicator of that came in the form of representatives. 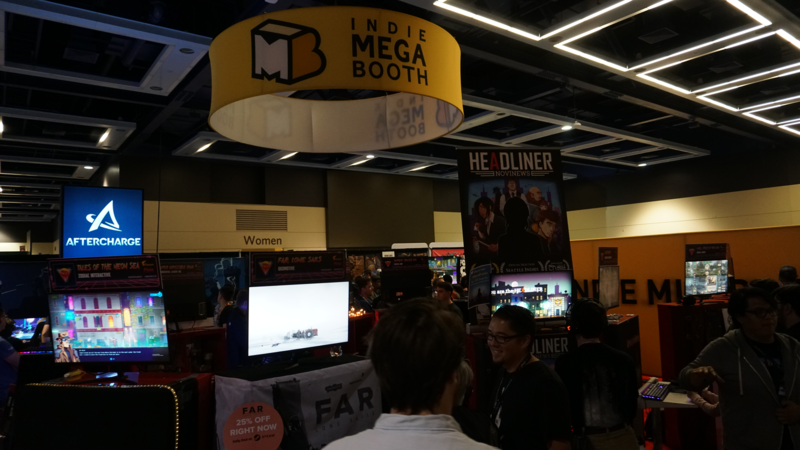 Nintendo, Microsoft, Sony, and many third-party companies had people trawling the indie area. Talks of porting, demographics, and trends within the industry carried on amidst the stuffy din of the crowd. Developers need to sell their game not only to potential customers, but to people who can make that customer-base grow exponentially. 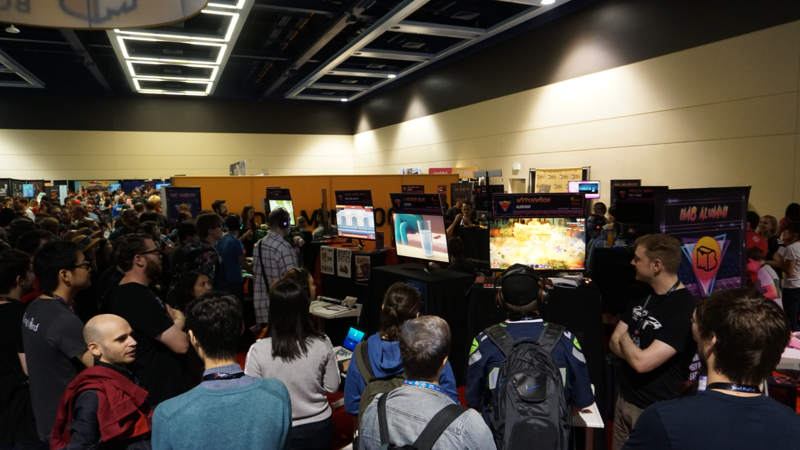 The Nintendo rep who could help get our game on the Switch was arguably the most important individual we’d speak to at PAX. Not all talk drifted towards sales and marketing, however. As a convention celebrating video games, naturally people were there to, well, talk about games. Though I’d realistically never play many of the indies that got exhibited I know there are people out there who most certainly would. Something about the simple act of speaking with developers changes how you view games. It puts a face to a name and suddenly credit screens holds so much more weight. You come to realize that these people believe in what they made, enough to make it all the way out to exhibit their game. Video games begin with an idea. Behind the magic curtain of development, players often don’t see the hardship and struggles that designers go through in order to push something out and bare it for all the world to see. Does that automatically make a game good? No. But it does make it human, and nowhere is that more evident than at PAX.